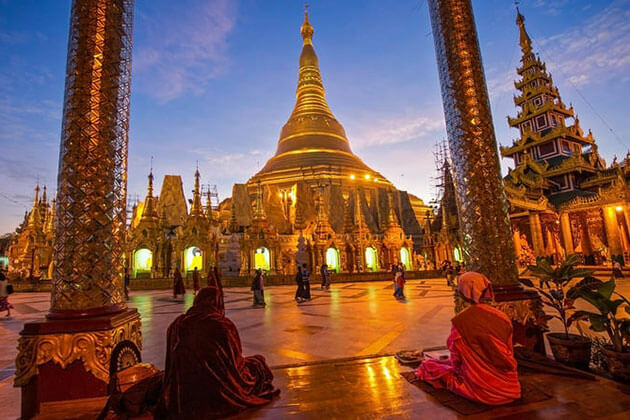 Started in Yangon, your remarkable 15-day Myanmar tour brings you to almost far-famed destinations of Myanmar to witness the jewel hidden behind impressive golden pagodas, orange temples, and giant Buddha images. 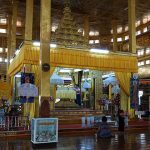 Take a trip down the Irrawaddy River to behold the beauty of the tranquil area, check out the hectic life in the local Nyaung U market, hike up to the magnificent Golden Rock in Bago. Ultimately, encounter with the gentle locals to gain truly authentic experience. 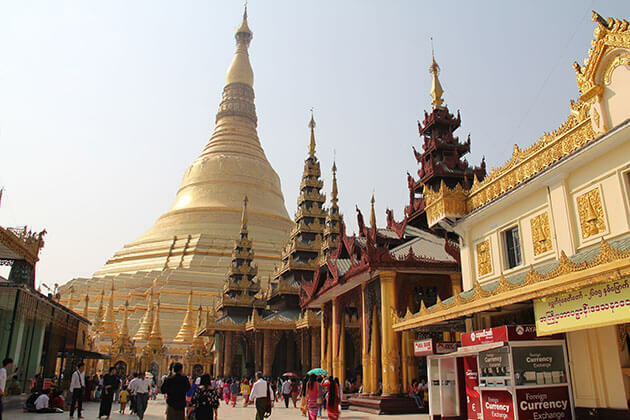 Soak up the hectic life in Yangon – the most exciting city in Myanmar. Explore the stunning life perched on the stilt houses above the water in Inle Lake. 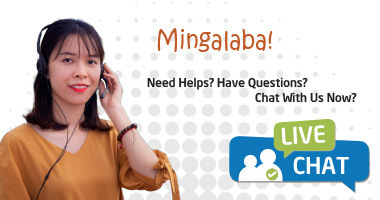 Welcomed and picked up by our tour guide as you arrive at Yangon then transfer to the hotel for check-in. Ready for an amazing day sightseeing around Yangon after breakfast with a scenic drive to the downtown city to capture the brilliant combination of Burmese and British architecture featured on the iconic building along the street that you can find nowhere in Asia. 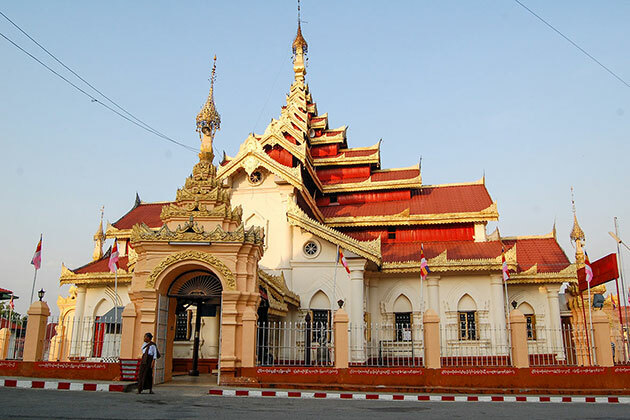 From the post office proceed to the Chauk Htat Gyi Pagoda where is renowned for the impressive reclining Buddha statue. Passing by Strand Hotel, Mahabandola Garden, and Independence Monument, you will reach the giant 66 meters long Buddha statue possessing intricated design on his feet. Here listen to your guide about the close relationship with these special symbols to the Burmese art. Continue driving to the beautiful Kandawgyi Lake to reach the dramatic Karaweik Hall where is a favorite photo stop for tourists. 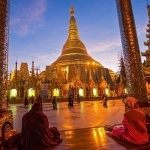 Highlight your sightseeing with a final visit today to the legend Shwedagon Pagoda to admire the most magnificent site in Yangon that is well-known for enshrining Buddha relics. This morning leave Yangon to take a flight to Bagan. Hit the local Nyaung U market to gaze out at the daily life of Burmese people. Next, ready for a full day exploring the architectural masterpiece of Bagan throughout the most outstanding pagodas in the region. 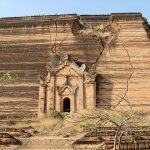 More than just sightseeing, our guide will provide you with an overview of Bagan history and the construction of these important relics in each destination you visit. 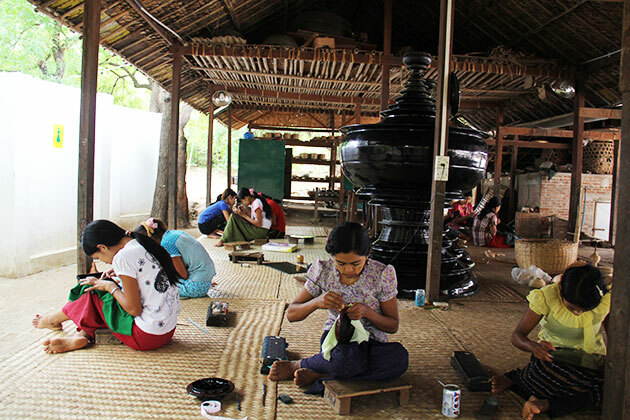 Afterward, head to the local workshops to witness the production of Bagan most famous products such as lacquerware and wood crafts. Spend time to chat with the local craftsmen, they will share with you the traditional techniques of creating those lovely items. In the late afternoon, drive to the sunset hill for spectacular sunset view where is said to be a must see moment in Bagan. Sit back and slowly behold this majestic moment. Today is a wonderful day delivers you to the villages in Bagan to discover the culture, history, and the lifestyle of the people. Take time to gaze out at the simple rural scenery and have an interesting talk with the villages before taking a horse cart ride to gain truly local experience. A horse carriage provides you a different perspective to the orange temples packed in the flat terrain. 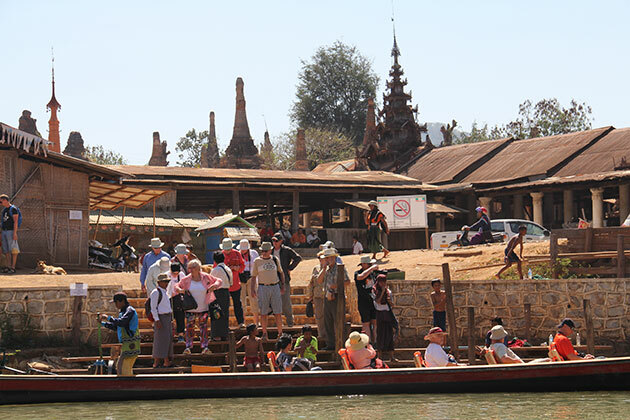 Following your afternoon sightseeing with a boat trip down the Irrawaddy River to the Shwezigon Pagoda. Enjoy your breathtaking trip as you sit on the open deck and marvel at the scenic beauty along the riverside and wait to the sunset time slowly covers the area. 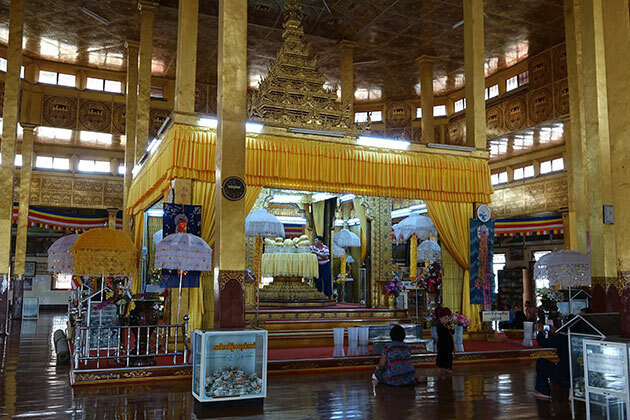 Leave Bagan early this morning to take a local express bus to Mandalay – the brilliant cultural center of Myanmar. 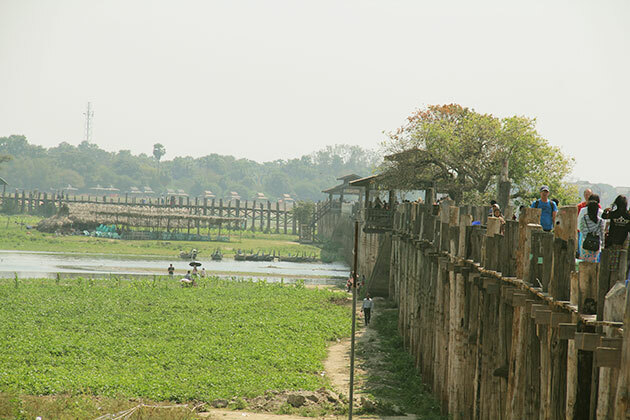 Head to the 200-year-old U Bein Bridge before the sunset time to get the first look at the life of people in Mandalay. Remember to bring your camera to save the best moment in the longest teak bridge in the world. 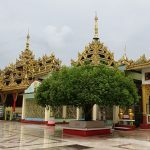 Your amazing day 5 begins with a visit to the Mahamuni Pagoda – one of the most important pilgrim sites in Burma that intrigues tourists by the impressive Buddha statue. Continue with a visit to the local artisan’s workshops to discover the production of gold leaf, wood, and marble crafts. From there proceed to the Golden Palace Monastery to marvel at the beautiful wooden monastery with the intricated design. 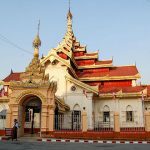 Highlight your morning sightseeing with a visit to the Kuthodaw Pagoda where enshrine the largest Buddha book in the world and also the most challenging book for readers that are carved on 729 marble slabs. 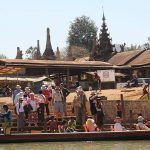 Following your afternoon with a boat trip up the Irrawaddy River to Mingun. A 45-minute cruise will take you to the ancient city where introduce you with stunning attractions. Head to Mingun Bell as you reach Mingun to marvel at the largest intact bronze bell in the world. 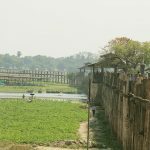 Continue your visit to the unfinished Mingun Paya – a massive ancient pagoda dating back to the 18th century that was meant to be the largest religious pagoda in the world. 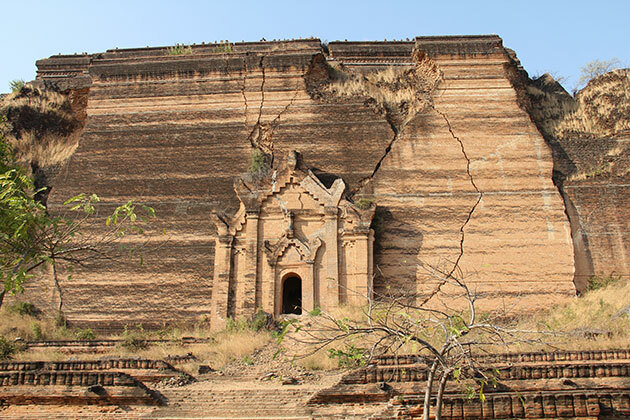 Unfortunately, it was damaged by two earthquakes then was left to the abandon. 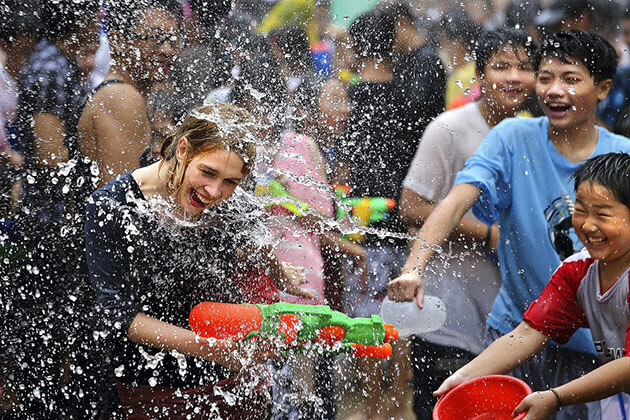 Nevertheless, it has never stopped to attract tourists’ attention. 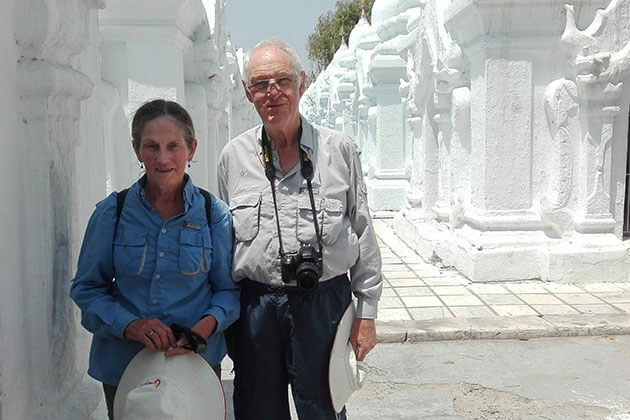 Next, transfer to other highlights of Mingun: Hsinbyume Pagoda – a magnificent white-washed temple built in the shape of Mount Meru. You can spend the time to climb to the top of the pagoda before moving to the nearby village to have an interesting meet with the local artisan to learn about their traditional basketry making and other beautiful items. Fulfill your meaningful sightseeing with a visit to the Royal Palace before transferring to Mandalay Hill for a panoramic view of the city. 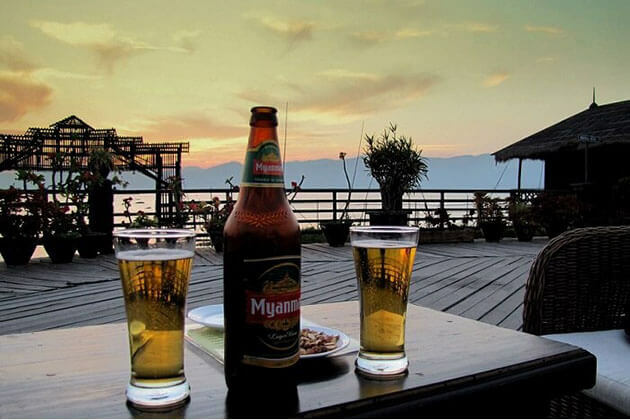 After breakfast, say goodbye to Mandalay to board a flight to Heho – the gateway to Inle Lake. As you reach Heho airport, picked up by our driver and then transfer to Nyaung Shwe where a boat trip is waiting to take you to the hotel. Afterward, spend the whole day to explore the life on Inle Lake with a stunning boat trip to pass through exceptional floating gardens and houses. Stop at Phaung Daw Oo Pagoda to gaze out at the holiest religious site in the region. From there continue rowing to the villages along the way to discover the local handicraft, lotus weaving, traditional blacksmith, and wooden handlooms then meet the Intha and Shan people to learn more about their daily life. Finish your Inle Lake boat trip today with a visit to Nga Phe Chaung Monastery and Nampan Village where you can witness the local methods of making canoe and cheroot. Begin your fantastic day 8 as you hit the local market to see the daily trading on the lake’s shore. Next, ready to embark on a boat trip down the scenic channel to reach the charming village of Indein. Stroll through the excellent complex of old stupas and exotic stairways where you will see many shop stalls. 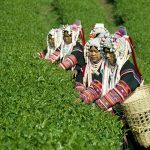 Highlight your Indein sightseeing with a visit to its village to meet the special “long neck” tribal women and get the first-hand experience about their traditional way of life. Afterward, back to the Inle Lake and there you will see the iconic leg-rowing fishermen are doing their job provides you with an amazing scene for taking the best photos. This morning says goodbye to Inle Lake to transfer to Kyaing Tong – a poetic township that is home to many ethnic groups where you will spend 3 days to discover. Upon arrival, welcome and pick up by your local tour guide and transfer to the hotel for a short break. 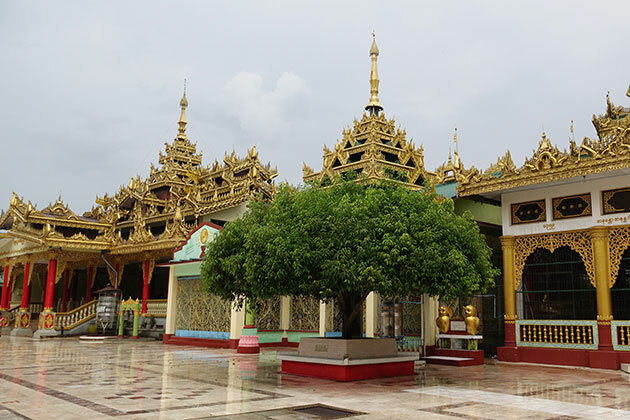 Next, join in a whole day sightseeing in Kyaing Tong as you take a scenic drive to the downtown area to visit Maha Myat Muni Pagoda where housing the Mandalay style Buddha image. 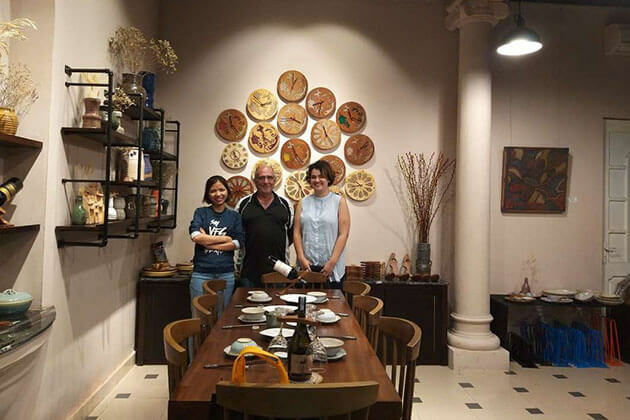 From there, stroll through Shan lacquerware for a quick look at the impressive product then transfer to Wat Jom Sak to admire the Standing Buddha image. 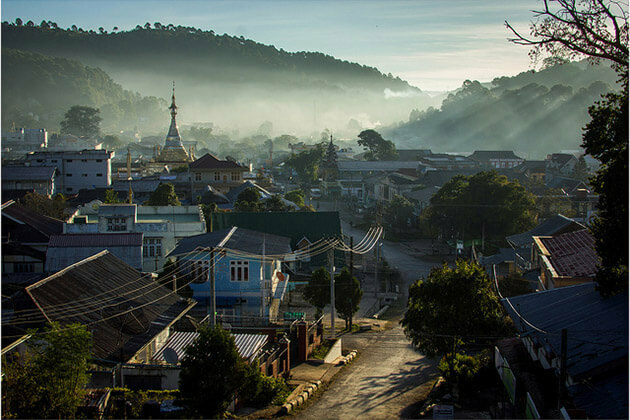 Gaze out at Hot spa, Akha center village, and RCM Church before heading to the One Tree Hill to behold the 245-year-old tree stands alone which was planted by Alaungmintaya – the founder of Third Myanmar Empire. Ultimately, return to the pottery village Yan Gone to see the local handicraft of Shan tribe. This morning soak up the vibrant atmosphere in the central market to gain the local life then take a 50-minute drive to reach the trekking point. 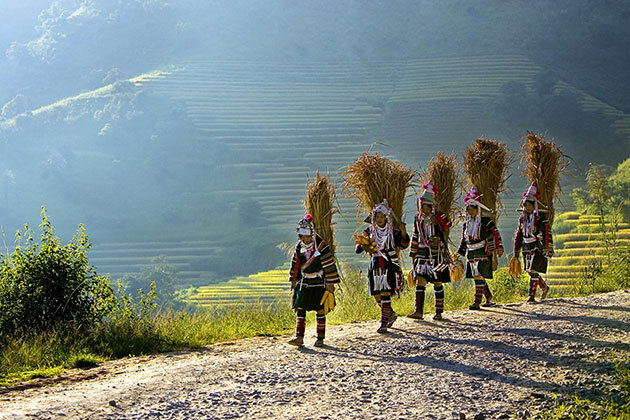 Pass through the scenic scenery to reach Ho Kyin villages the typical Akha tribal villages. From there proceed to Na Phi Phank village and Pang Ma Phai tribal village to discover their daily life. Later, see the real way of making traditional Lahu Knives as you drive to Mong Zine (Khun Village) before returning to the hotel. Stop at Joe Phyu Wa village for a short visit along your way. Start your amazing morning as you stroll through the lively local market to observe the daily trading of the ethnic minorities dressing in their colorful traditional costumes. 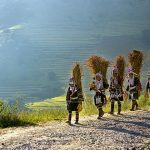 Afterward, drive to Hwe Lon to reach the village of the Akha ethnic minority where you can spend the time to interact with the villagers to learn about their culture and traditional custom. Following you lunchtime with a visit to the minority tribe who are known for their distinctive black dress and chewing betel nuts custom. Later, moving to Lone Tree Hill for an incredible panoramic view to Kyaing Tong. This morning is at leisure let you enjoy the picturesque landscape of Kyaing Tong before the driver picks you up to transfer to the hotel for a flight back to Yangon. 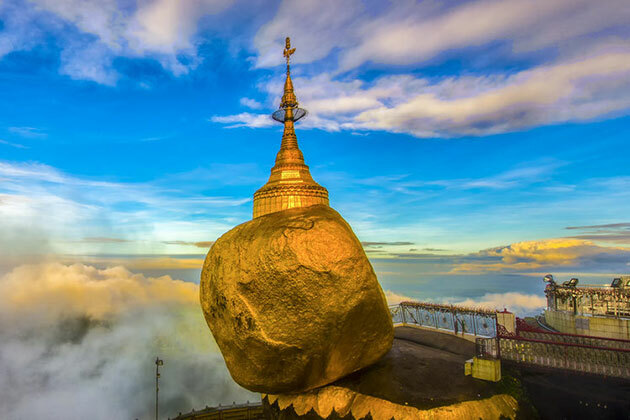 Be an early bird this morning to take a scenic drive to reach the Golden Rock in Bago. After reaching the Golden Rock base camp, moving to the transit conjunction to take one more hour drive to reach the pagoda. It will take you about 1 hour to walk on foot to reach the top of the pagoda. 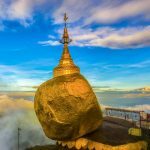 Nevertheless, you can expect to be overwhelmed by the magnificent panoramic view from the temple and wonderful Golden Rock perched on the cliffside of a granite. Listen to your guide about the legend of the rock, you will find it amazing! Get up early in the morning of day 14 to stroll around the hill sites and behold the impressive sunrise over the hill. Next, return to the base camp and drive to Bago for a morning sightseeing. 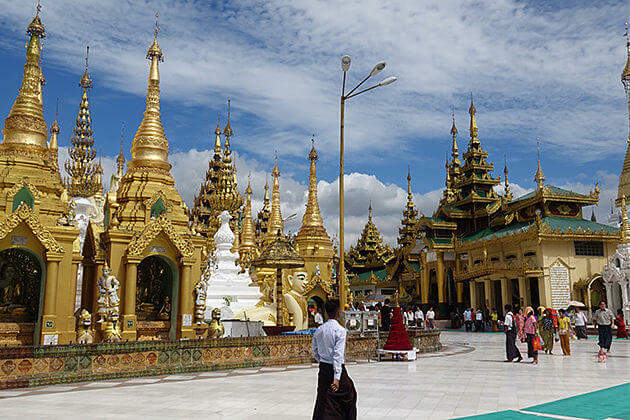 Once described as a Disney Land in Burma, Bago ensures to give you stunning moment as you visit Shwe Tha Lyaung Pagoda, Shwemawdaw Pagoda, and Kanbawzathardi Palace. Lunch will be served in Bago ore on the way depends on the itinerary before coming back to Yangon. Along your way back, stop for a short visit at LawkaChantha Abayaa Lahba Muni to marvel at the Buddha image which is carved from marble stone and The Houses of Three White Elephants. Overnight in Yangon. Today waiting for the drive to come to carry you to the airport for a flight to your departure. Trip ends. 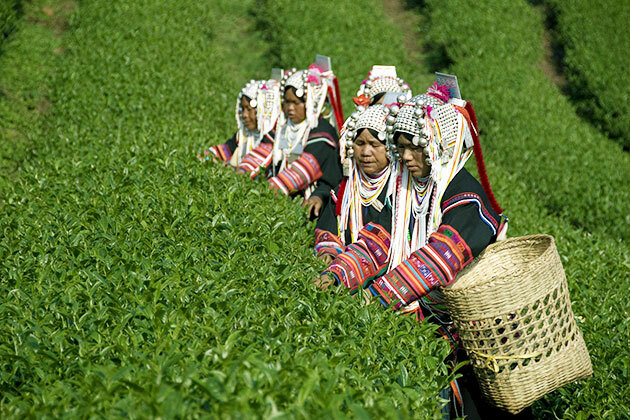 We hope that you would love the itinerary we offer for this 15-day adventure tour to Myanmar. 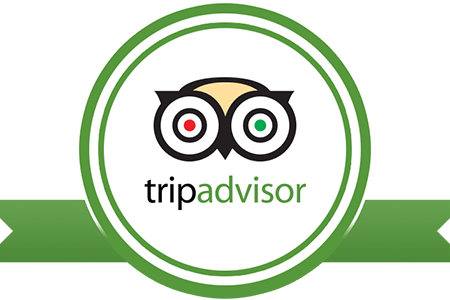 If you want to tailor-made your unique itinerary, feel free to contact us! 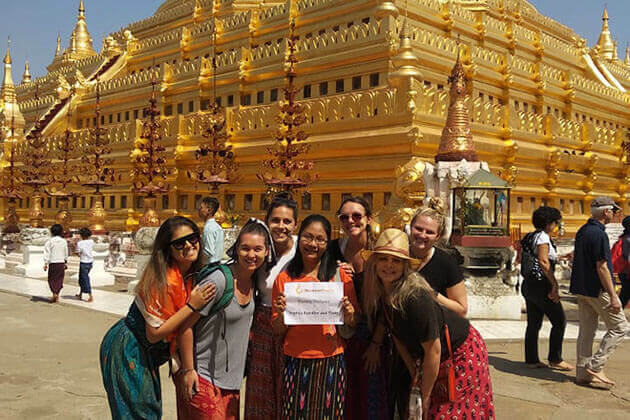 Thank you for traveling with Go Myanmar Tours! 10 US$ for international airport tax.